Want to transform from legacy mobile to nextgen mobile in supply chain but not sure how? Transforming to Next Generation Mobility in the supply chain can be very challenging for enterprises, with many difficult questions in a sometimes fragmented landscape. Which operating system is best suited? Can I manage old and new together? Are there best practices I should adopt? How can I be sure my key applications continue to work? Skywire can help you learn about this changing landscape, and ensure that your mobility platform is Next Generation Mobile ready. 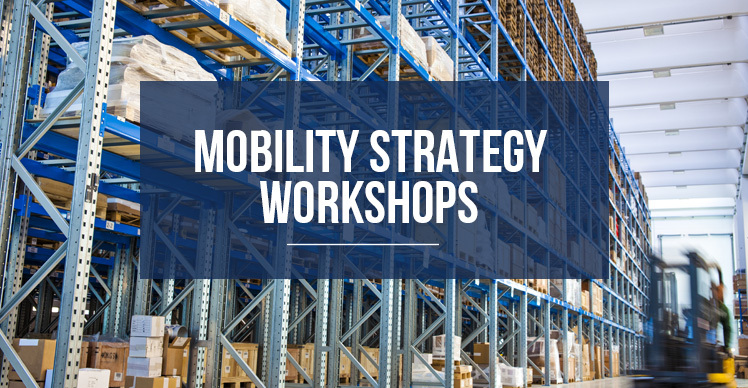 Our Mobility Strategy Workshop is your chance to pick our brains about everything we know so that you can develop a clear Mobility strategy. We will come to you, we will understand your needs, we will document everything and help you build a clear path forward. Our domain knowledge in rugged mobility and supply chain means we are uniquely placed to help our customers successfully make the journey to Next Generation Mobility in the supply chain. Contact us today to book a mobility strategy workshop at a time that suits you. Bookings are limited!